“My two girls were thinking green since elementary school, and they have long been determined to help me see the light. Rebecca tells me constantly that we are ‘sucking the life out of our planet.’ Pretty strong words for a 13 year old!! Our kids really do get it. I have been a bit slower to catch on. 16 year old Jessica wants to stop throwing out all of our leftover food. She wants to compost! I have been so hesitant of adopting little critters that I have put it off for years. Now that there are composters which are actually raised off of the ground, I will have to relent. It turns out we probably will not need trash pickup once a week, we most likely will only need it every two weeks. Great news as we used to take it twice a week! I am determined to keep track of this accomplishment! Goal – once a month! Rebecca is my electronic girl. All iPod, cell phone and computer chargers are unplugged when not charging a device .It’s great that we are not wasting or paying for electricity we are not using. I am working on the noise pollution from her music that is too loud! I’ll keep you all posted on that one! I love how Laura is thinking – she has stayed open minded and wonderfully receptive to the changes her teenage daughters want to see, and this has encouraged them to really lead the family down a new path. Dare I say it – bring on the teenagers! Have your kids changed the way you think about being green? Share your thoughts with us at. 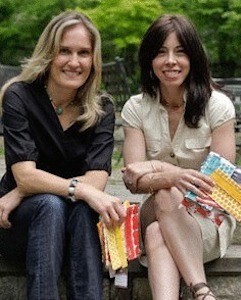 Cristina Mendoza Bourelly and Kirsten B. Quigley are the two inventors of LunchSkins reusable sandwich and snack bags. 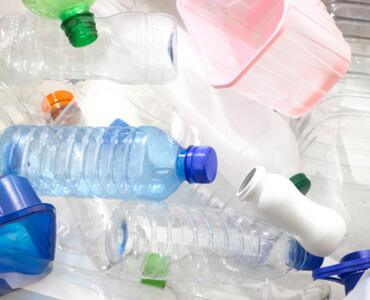 They were neighborhood friends and in 2008, they became partners on a mission to reduce plastic waste.